Purchase: Amazon, Entertainment Earth, Forbidden Planet. 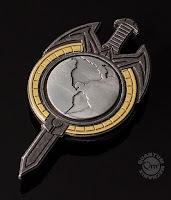 Notes: Terran Empire insignia, based on the design seen in the comic-book series Mirror Broken. 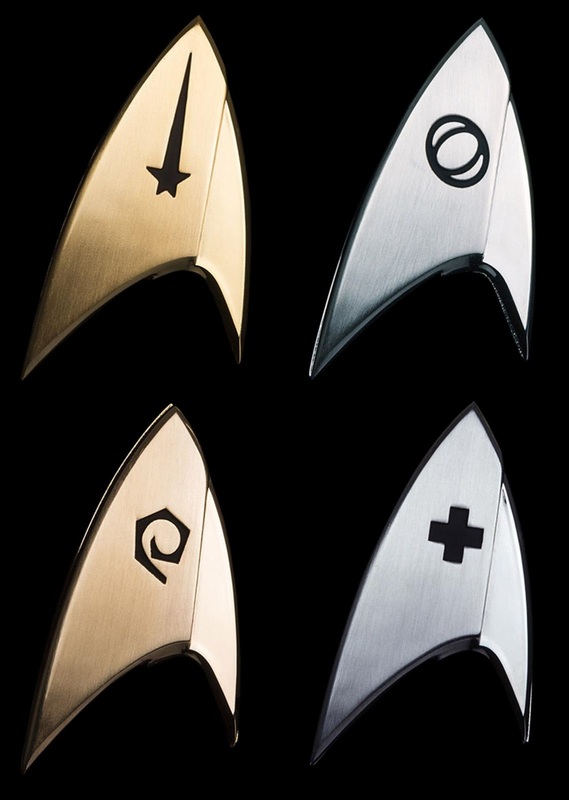 Notes: Range of four Starfleet badges from Discovery, representing all four departments. Additionally QMx also released a smaller lapel pin version of the command insignia. Notes: Range of three Starfleet badges using the revised two-tone design from Star Trek Beyond. 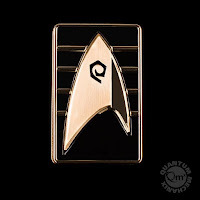 This range did not include a medical department badge. Notes: Badge version of the 50th anniversary logo, which itself was a variation of the TOS command insignia. 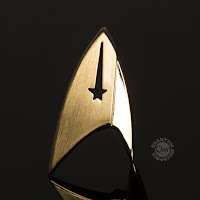 Notes: Starfleet combadge/insignia seen in Voyager and DS9. While based on original props in detailing, the finish is in metallic gold and silver rather than painted like the original props. Coverage: Mold restoration, images and details. Notes: A framed collection of badges from TNG, DS9, and Voyager. 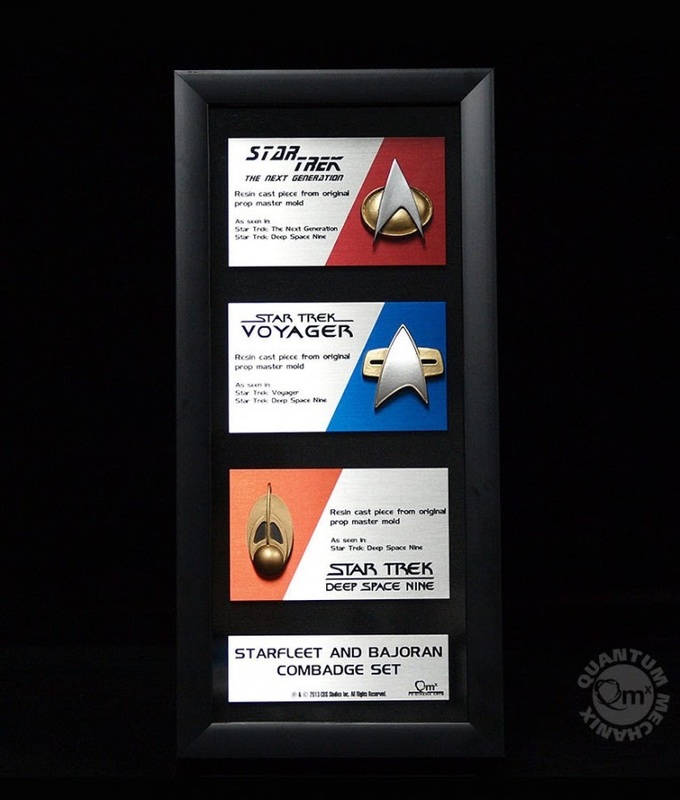 Including both Starfleet combadges of the era, with the first release of the Voyager version, and the only release of the Bajoran combadge. These were all made using original prop molds, and made from resin (rather than the metal of other releases), with velcro backing. This was a limited edition of 100 units, released as a Black Friday promotion. 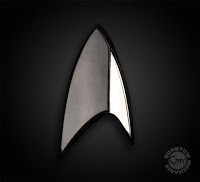 Notes: Starfleet combadge/insignia seen in TNG and DS9. 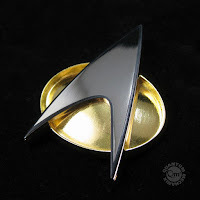 While based on original props in detailing, the finish is in metallic gold and silver rather than painted like the original props. 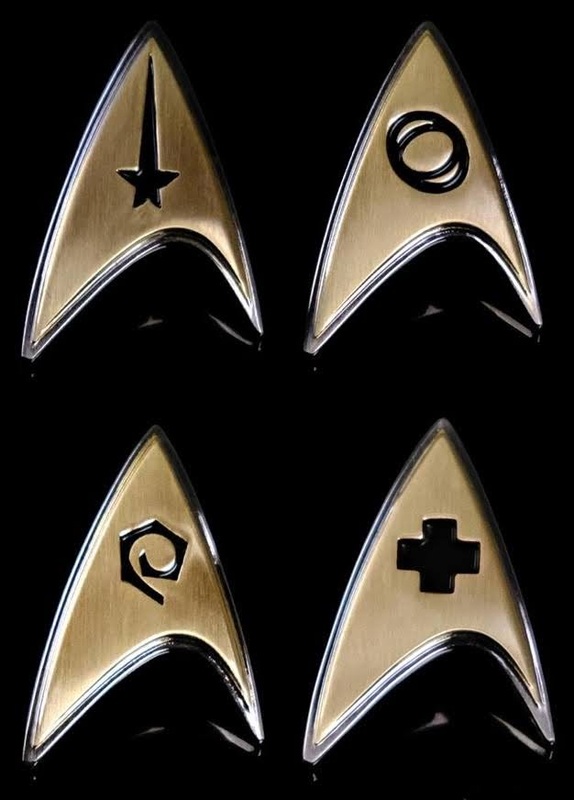 Notes: Range of four Starfleet badges from Star Trek (and later Star Trek Into Darkness) representing all four departments. 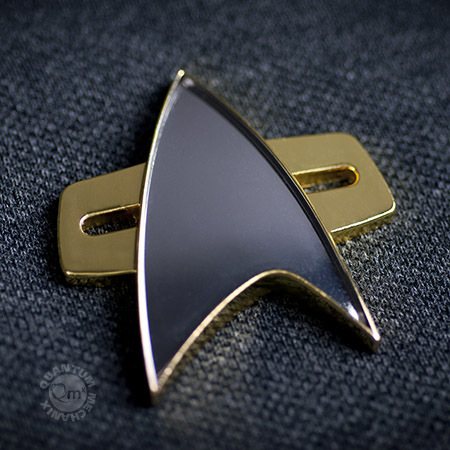 This range was initially released with pin backs in 2009, but reissued in 2014 with magnetic backs - Although the medical badge was not included in the reissue so is only available pin-backed. 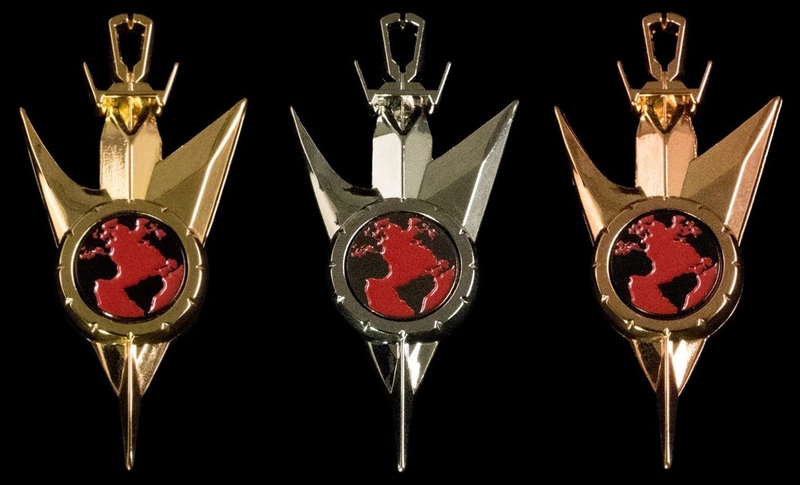 As well as being offered individually, all four were also available as bonus items as part of a bluray release in 2009. 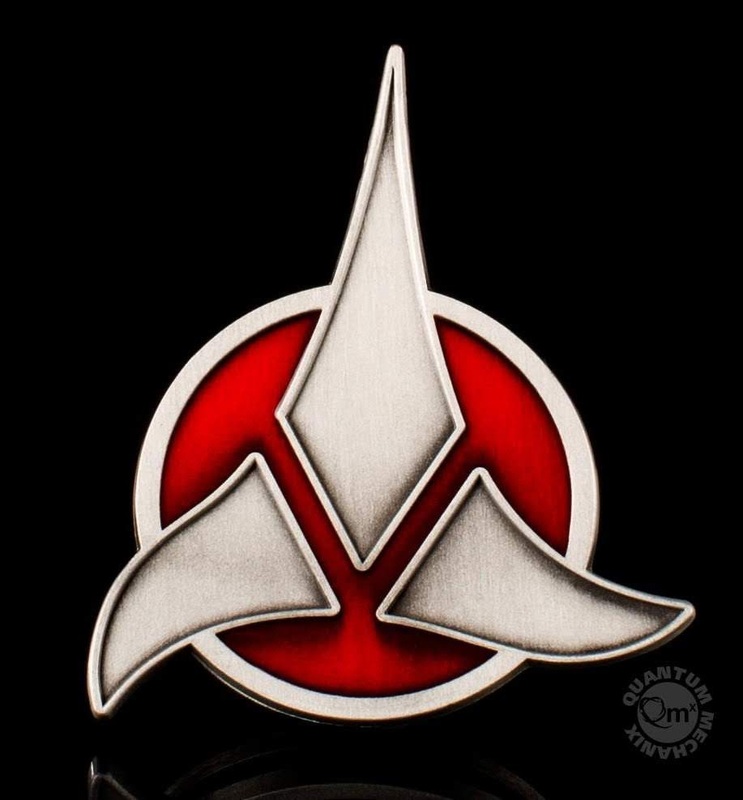 Release date: 2009 (pin back), December 2014 (magnetic back). 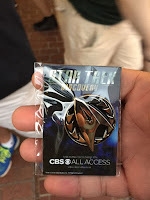 Coverage: 2013 packaging, magnetic backing reissue details. Bluray set (pin back): Amazon. 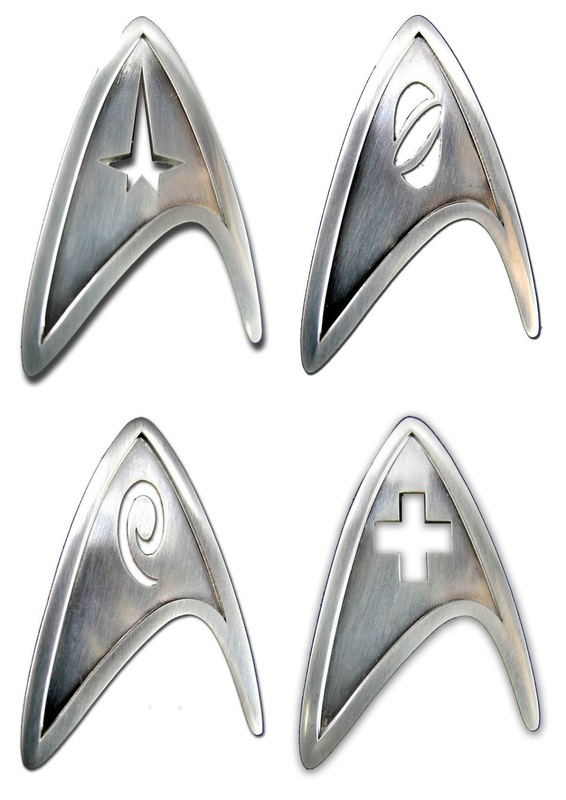 Series/format: Discovery insignia pins for all four department variants, releases in pairs with the corresponding full sized badge replica. Notes: Discovery admiral pin. 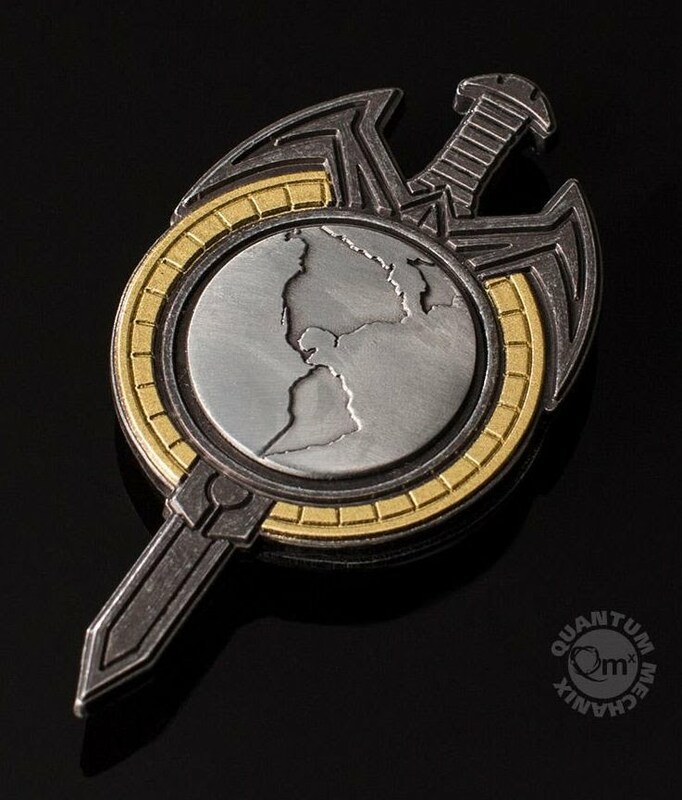 Only available as a San Diego Comic Con mirror universe exhibition give-away. 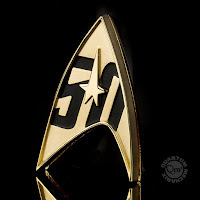 Series/format: Discovery command insignia pin.